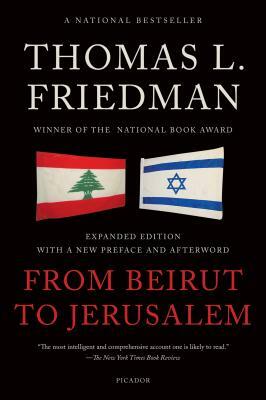 The author of the book, an American Jewish journalist, receives an assignment in Beirut. His life there takes is surrounded by violence which he graphically describes. He details the different political and religious factions which is new if there reader is not familiar with the middle east. Later his employers move him to Jerusalm., a place where I have been, and would consider a much longer visit. The author is very objective in explaining the problems in Israel from all viewpoints. The book was written 20 years ago. Even though the problems over there have not changed, historically the world has. This book is very long, detailed, and not an easy read. There are very violent descriptions. The book contains some excellent historical information.